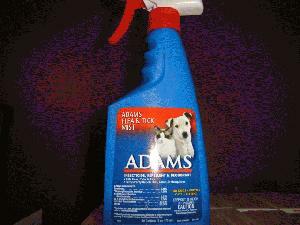 16 oz bottle of Adams Flea and Tick Mist. Works well to keep Mites and Feather Lice off chickens. Kills on contact!